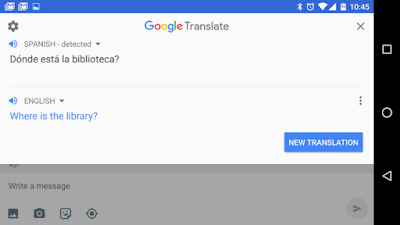 Google Translator APK is the official translation application Google, allowing us to translate between dozens of different languages, including the most important combinations: Spanish-English, Hindi-English, English-French, English-German, English-Chinese, and so on. Like the web application, this official Android app will allow us to perform translations between more than fifty different languages. In addition, we may even hear the pronunciation of translations, which is especially good for us when travelling around the world. Other interesting features of Google Translator allow us to use the camera of our android to carry out our translations. So we'll just focus the camera at the text we want to translate, choose the language, and as then in no time we will see the translation on the screen. Another interesting option Google Translator will give us is the ability to import a photograph from our Android phone, to translate. Thanks to this feature we can translate any document we have in the memory of our smartphone in JPG or PNG format. 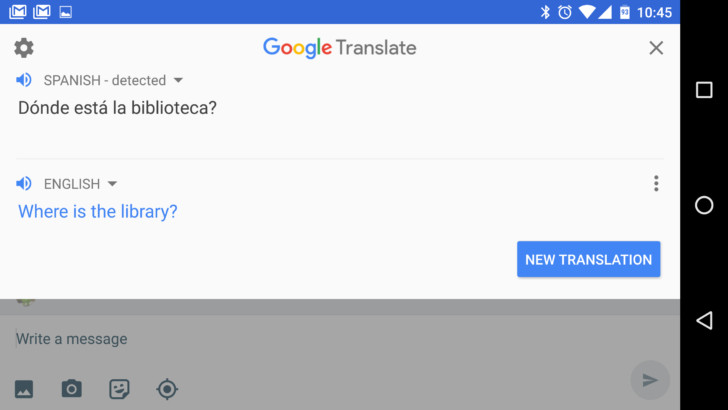 Google Translator is one of those applications almost indispensable for any mobile phone or tablet, with no text we will resist. English, French, German, Hindi, Japanese, Chinese, Russian etc, no matter what it is, it can translate smoothly. It is clear that the best way to learn a language is by speaking , but as a complement to a natural formation is necessary to devote time to training through individual tools to consolidate knowledge . This is a compilation with some of the best applications for Android with which to learn new languages ​​, ranging from mere grammatical data bases to collaborative platforms to refine pronunciation. Google Translate for Android has been updated with several features focusing on content translation multi media translation in real time , increasing the detection tool text with the possibility of translating audio and even images taken on the spot with your device camera , superimposing and locating the typefaces detected with respect to the catch.